Were you injured in a lyft accident in Chicago? 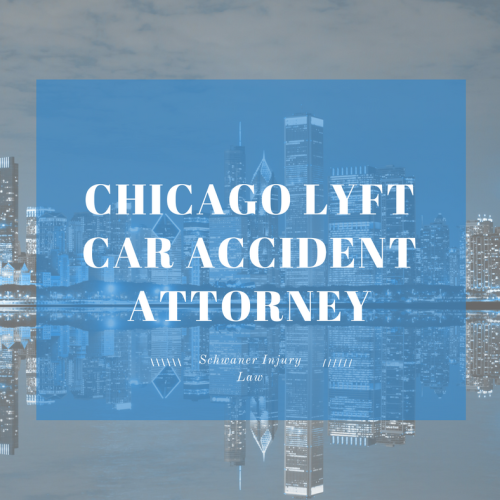 Do you need a Chicago Lyft Car Accident Attorney? Lyft can be a great way to get from point A to point B. However, with so much use every day it’s no surprise that many people are suffering severe and debilitating injuries from auto accidents while riding in Lyft vehicles. In Chicago, Lyft drivers earn an estimated $11.15 per ride, which upon reflection, does not seem like a number high enough for a driver to be fully invested in its passengers. And while Lyft does weave itself into the fabric of the community is serves – While still in its youth, Lyft Chicago has already partnered with Hephzibah, a social services agency in the suburb of Oak Park, as well as Cycle for Survival, which has raised more than $118 million nationwide for Memorial Sloan Kettering Cancer Center in New York City, which focuses on providing treatment for patients fighting rare cancers with limited treatment options – the same can’t always be said for its drivers. But, Lyft is not without its controversies. Were You Riding with Lyft in Chicago and Got into a Car Accident? Are You a Lyft Accident Passenger in Chicago? Were You Injured by a Lyft Driver or In a Lyft Car Crash in Chicago? Have You Suffered a Lyft Car Injury? The first accident associated with Lyft ride-sharing service happened in Sacramento in 2014, one of more than 30,000 crashes that occur annually in the United States but the first involving a Lyft driver. The crash happened during heavy rains on one of the city’s busiest interstates, when 31-year-old Lyft driver Shanti Adhikari swerved to avoid a stalled car, then veered off the right shoulder of the highway, hitting two trees and killing one passenger, 24-year-old Shane Holland, and severely injuring Holland’s boyfriend, 27-year-old Brady Lawrence, who ended up with $92,000 in hospital bills following his treatment. The stalled car had previously been rear-ended by a hit-and-run driver, creating a problem with determining which car was at fault. After investigating the incident, the California Highway Patrol determined that Adhikari was at fault for making an “unsafe turning motion” in his attempt to avoid hitting the stalled vehicle, and for speeding at the time of the accident. 18 months later, the family of Shane Holland filed suit against Lyft, saying the company had yet to offer compensation – or condolences – for the fatal crash. “Losing my son is a black hole I live with all the time,” said Holland’s mother, Donna Dinapoli, in an interview with the San Francisco Chronicle. She called the incident “senseless,” and one that would not have happened if the driver hadn’t been driving too fast for conditions or taking unnecessary risks while avoiding a collision. And therein lies the biggest problem associated with Lyft. In Chicago, Lyft is most often used as an alternative way to get from O’Hare Airport to a final destination, and depending on the weather, can be cheaper or more expensive than a cab, but certainly a viable alternative to the Metra, especially when it is down for any reason. But Chicago also has weather, wintery stuff including sleet, snow and ice that can make travel treacherous no matter what mode of transportation you choose. There are bound to be accidents. Lyft drivers cause accidents and injuries in Chicago every day. Traditionally, when a car accident occurs, the insurance company of the driver at fault will cover the expenses, although having an attorney is an important step since insurance companies notoriously write policies that are confusing to policyholders so they can include language that will hold them liable for less in case of an accident. In Illinois, the Transportation Network Providers Act was passed in December 2014. The legislation put into place insurance requirements that must be met by Lyft and its drivers. Drivers are required to have personal insurance coverage for when they are driving their vehicle for personal use. When they are transporting a passenger, any damages and injuries are covered by commercial insurance provided by Lyft. So, what happens when a Lyft driver in Chicago is at fault in a car crash? Lyft offers $1 million in excess liability insurance coverage through James River Insurance Company (the same insurance company that covers Lyft’s competitor, Uber) that is in effect from the time a driver accepts a ride request until the ride is ended. The coverage is in place because many personal auto insurance policies are voided when drivers are using their vehicle in order to make money. Still, the legal landscape can be complex, especially so when ride-sharing services are so new. While Lyft, likely in response to the 2014 fatality and subsequent lawsuit, has changed its policies to ensure that passengers are covered while using the ride service, the fine print in insurance policies can still make collecting adequate compensation for your injuries complex. That means it’s important to have a Lyft Accident Laywer on your side to help secure a settlement that will cover the costs of your injuries, including medical expenses, therapy and lost wages as well as any pain and suffering associated with those injuries. Hiring an experienced attorney will ensure that you not only have someone who can assess the value of your case, but also navigate the complex regulations associated with ride-sharing apps, which are set up in order to avoid the regulations associated with cab services. In the Sacramento case, Lyft’s lawyers, in early filings, suggested that Lyft – which said in a statement that Lyft’s insurance coverage was in place to protect not only passengers, but also third parties – was attempting to use the driver’s role as an independent contractor to deflect responsibility and avoid paying out any expenses, which experts said were likely to far exceed $1 million dollars if pain and suffering were included. 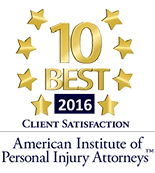 Do you need a laywer for the Lyft auto accident injuries you suffered in Chicago or the Chicagoland area? Get in touch with our team today and we will get you the compensation you deserve. Our services are completely free until you recover.